The Linneborn Prize is named after Johannes Linneborn (1899-1991), a German chemical engineer, pioneer of modern biomass research. During his professional life he dealt with different topics, such as agricolture, energy, trasportation, nutrition and health. His vision was extremely far-sighted and sustainable: he believed in the importance of integrating all human activities into the natural cycle of life. In 1930 Linneborn met Georges Imbert, a french chemical engineer and he became German representative of C.G.G.I. (Compagnie Générale des Gazogènes Imbert), company based in Sarre-Union (France). In 1931 he created the Imbert Köln factory in Cologne, Germany. 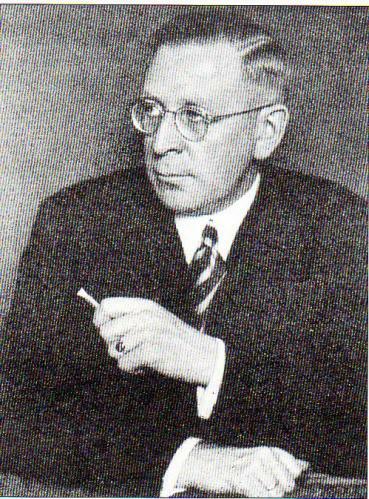 From 1931 to 1939 Imbert Köln adapted and perfected the wood gasifier of which Linneborn acquired the mondial licence except for France. When Germany annexed Alsace Lorraine in 1940 the factory of Sarre Union joined Imbert Köln company. From 1941 to 1945 both military and civil vehicles were equipped with the Imbert Köln wood gasifier.